So easy, so yummy, and always a crowd pleaser. Bake pie crust according to directions on the package. When the pie crust is done baking, let the crust cool slightly. Spread the cream cheese over the entire crust, including the sides. Clean and slice the strawberries. Place all but ½ cup of the berries in the pie crust. Mash the reserved ½ cup and place in a small saucepan. Dissolve the cornstarch in the cup of water, and add it to the saucepan. Then add the sugar. Over low heat, stir the berry mixture constantly until it?s lightly boiling and the mixture goes from cloudy to clear?this will form a strawberry glaze. Pour the glaze over the strawberries in the pie crust and chill for at least 4 hours. Top with vegan whip cream and serve! The author of the recipe, Kacy Franzen, is a dedicated animal activist, certified health coach, and lover of food. If you?re a fan of this recipe, check her website, Instagram, and keep an eye out for more of her easy and delicious vegan recipes right here on Vegan Outreach?s Vegan Living and Advocacy Blog. 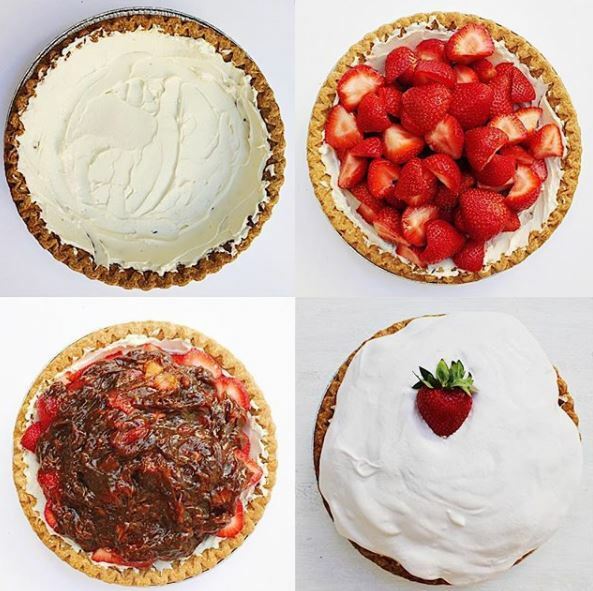 The post Mom’s Strawberry Pie appeared first on Vegan Outreach.